“All Aboard!” Medical Bills in Excess of Chosen PIP Limits are Recoverable | Golden Rothschild Spagnola Lundell Boylan Garubo & Bell P.C. By: Jeffrey S. Bell, Esq. and Gregory B. Mgrditchian, Esq. 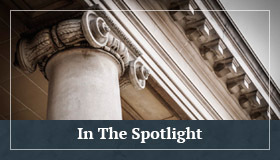 In a recent decision approved for publication, the Appellate Division held that Plaintiffs are permitted to recover medical bills in excess of their chosen Personal Injury Protection (“PIP”) limits in a standard automobile policy from a tortfeasor. The decision was issued in response to Haines v. Taft and Little v. Nishimura, two automobile negligence actions consolidated for the purpose of deciding whether a Plaintiff could recover medical expenses above and beyond their selected PIP policy limits of $15,000. In both actions, the Trial Court barred Plaintiffs from introducing medical bills in excess of their selected $15,000 PIP policy limits. On Appeal, both Plaintiffs argued the Trial Court erred by barring the introduction of their medical bills in excess of their selected PIP coverage, as such bills were neither collectible nor paid under the applicable PIP policy. The Appellate Division undertook review of the issue by noting N.J.S.A. 39:6A-12 and N.J.S.A. 39:6A-2(k) controlled their analysis. The Appellate Court held that the plain language in N.J.S.A. 39:6A-12 makes inadmissible “evidence of the amounts collectible or paid under a provision for PIP benefits in a standard policy.” Defendants argued that because $250,000 is the PIP limit provided in a standard policy, the Statute bars evidence of the first $250,000 in medical expenses incurred. Plaintiffs argued that only evidence of those medical expenses paid or eligible to be paid under a PIP policy are inadmissible pursuant to the Statute. Defendants sought to have the Appellate Court interpret the relevant language to hold that all medical expenses up to $250,000, the usual PIP limit in a standard policy, be deemed inadmissible. Plaintiffs maintained that the defendants were responsible for uncompensated medical bills above their policy limit, which could be up to $250,000. The Appellate Division noted that by statute, automobile insurers must provide five different PIP coverage options of $250,000, $150,000, $75,000, $50,000, or $15,000. Thus, the Appellate Court held that the phrase “amounts collectible or paid under a standard policy” did not refer solely to policy limits of $250,000. The language instead refers to those PIP limits covering the particular insured, making only those medical expenses up to and including the chosen PIP limits inadmissible. As both Plaintiffs in Haines and Little selected PIP coverage of $15,000, evidence of medical expenses between $15,000 and $250,000 are admissible and recoverable against the tortfeasors, subject to any other relevant statutory provisions. Based on this holding, the Court has seemingly laid to rest, in part, the long disputed issue over how medical bills above PIP limits are to be treated at the time of Trial. According to this ruling, Plaintiffs may introduce evidence of their medical expenses incurred above their selected PIP coverage limits and the $250,000 statutory limit, and seek to recover all such unpaid medical expenses from the subject tortfeasors. These “uncovered” medical expenses will be “boardable” at the time of Trial, allowing a jury to consider same when contemplating its award. This decision will undoubtedly impact liability insurers as it will increase their exposure to extensive medical expenses as a measure of alleged damages in scenarios where a policyholder selects PIP limits below the standard policy. Gregory B. Mgrditchian, Esq. 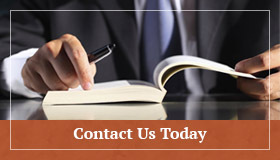 is an Associate in GRSLB&G’s Litigation Department. He defends a wide variety of clients in various civil actions brought forth in New Jersey and New York State and Federal Courts. Gregory can be reached at gmgrdichian@grsl.com.